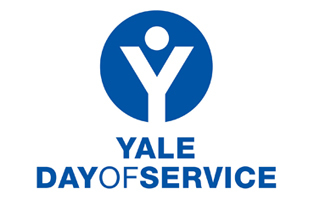 As part of the Yale alumni tradition, Yalies around the world take part in an annual Day of Service as part of a global effort to share intellect, creative energy, and a helping hand to local non-profit organisations. From Dwight Hall’s student-led community based programs to the highest levels of government service, Yalies have risen to the challenge to help ‘change the world,’ no matter how large or small the impact. Yalie communities have participated in activities that address issues such as literacy, safe youth and teen centers, arts advocacy and education, sustainable food, environmental education, historical programming, immigrant and refugee advocacy, women's advocacy, parks and green spaces, homelessness, and transitional populations. You can read about previous projects completed by Yalies on the Yale Day of Service website. The fifth global Yale Day of Service was be held on May 11, 2013, with the goal that Yale alumni around the world will come together on or around that day to serve their local communities. For this year’s Day of Service, 30 YCL volunteers turned up very early on Saturday the 11th May at our charity partner IntoUniversity’s North Kensington centre in order to share their professional experience and advice with 50 students from disadvantaged backgrounds in a series of careers panels. A lively opening session included an introduction to the US university system by ASC Chair Richard Burston, inspiring keynote talks by children’s author Francesca Simon and investor and business leader Larry Billett and a warm-up “speed-interviewing” exercise for all participants. After this, students and volunteers went off to breakout rooms for the career panels. Students had the opportunity to attend two 40-minute panels: Law and Finance, Arts & Culture, Business & Technology, Medicine & Public Health, Environment & Development. We were honoured to have a guest from New Haven, Assistant Dean of Yale College Rodney Cohen, attending throughout the day and appreciated his contribution of a very rousing talk to close the event. In addition to meeting students, volunteers reported that they also enjoyed hearing each others’ career stories in the panel sessions and meeting other Yalies and their guests from a wide range of professions throughout the day. IntoUniversity provides local learning centres in disadvantaged areas where young people are inspired to achieve. The charity aims to address underachievement and social exclusion among young people by offering an integrated programme of out-of-school study, mentoring, aspirational coaching, personal support and, in partnership with schools and universities, a specially devised FOCUS programme. IntoUniversity currently has 12 centres in disadvantaged areas of London, Nottingham and Bristol. In 2012, 77% of IU school leavers attained a university place compared to 34% of all maintained school leavers and 18% of those on Free School Meals. For more information on IntoUniversity, visit their website: http://www.intouniversity.org/ .